When I flip through a book on networking, one of the first things I look for is the protocol stack diagram. An elegant representation of the protocol stack can help you make sense of where to put things, separate out important mental concepts, and help explain how a technology is organized. Let’s start at the bottom, with the hardware layer, which is labeled Things. These are devices that aren’t typically thought of as computers. Sure, they wind up using a computing ecosystem, but they are not really general-purpose computers. These devices are embedded devices that interact with the physical world, such as sensors and motors. Primarily, they will either be the eyes and ears of the overall system, or the channel for actions on the physical world. They will be designed around low power consumption, and therefore will use a low throughput communication channel. If they communicate with a network, it will typically be through a radio interface, but the tyranny of limited power consumption means that the network interface will usually be limited in some way. Things provide their information or are instructed to act on the world by connecting through a Network Transport layer. Networking allows reports from devices to be received and acted on. In this model, the network transport consists of a set of technologies that move data around, and is a combination of the OSI data link, networking, and transport layers. Mapping into technologies that we use, it would be TCP/IP on Wi-Fi for packet transport, with data carried over a protocol like REST. The value of the base level of devices in this environment depends on how much unique context it can add to the overall picture and enable the operation of software that can operate on concepts of the physical world like room temperature or whether I am asleep. Looking back on it, the foundation for the data layer was being laid years ago, as is obvious reading section three of Tim O’Reilly’s “What is Web 2.0?” essay from 2005. In this world, you are either contributing to or working with context, or you are not doing very interesting work. Sharing context widely requires APIs. If the real-world import of a piece of data is only apparent when it is combined with other sources of data, an application needs to be able to mash up several data sources to create its own unique picture of the world. APIs enable programmers to build context that represents what is important to users and build a cognitively significant aggregation. “Room temperature” may depend on getting data from temperature, humidity, and sunlight sensors, perhaps in several locations in a room. In addition to reporting up, APIs need to enable control to flow down the stack. If “room temperature” is a complex state that depends on data from several sensors, it may require acting on several aspects of a climate control system to change: the heater, air conditioner, fan, and maybe even whether the blinds in a room are open or closed. Designing APIs is hard; in addition to getting the data operations and manipulation right, you need to design for performance, security, and to enable applications over time. A good place to start is O’Reilly’s API strategy guide. Finally, we reach the top of the stack when we get to Applications. Early applications allowed you to control the physical world like a remote control. Nice, but by no means the end of the story. One of the smartest technology analysts I know often challenges me by saying, “It’s great that you can report anomalous behavior. If you know something is wrong, do something about it!” The “killer app” in this world is automation: being able to work without explicit instructions from the user, or to continuously fine-tune and optimize the real world based on what has flowed up the stack. Unlike my previous effort in depicting the world of 802.11, this stack is very much a work in progress. Please leave your thoughts in the comments. How Carnegie-Mellon Increased Women in Computer Science to 42% — outreach, admissions based on potential not existing advantage, making CS classes practical from the start, and peer support. Summingbird (Github) — Twitter open-sourced library that lets you write streaming MapReduce programs that look like native Scala or Java collection transformations and execute them on a number of well-known distributed MapReduce platforms like Storm and Scalding. The Rapture of the Nerds (Charlie Stoss, Cory Doctorow) — available for download and purchase under a CC-A-NC-ND license. Amazon Maps API — if there is an API layer of general use to developers, Amazon will build it. They want to be the infrastructure for the web. Tim identified “the Internet Operating System”, and Amazon figured out how to put a pricetag on every syscall. My Computing Environment (Jesse Vincent) — already have a set of those gloves on order. Sequel Pro — free and open source Mac app for managing MySQL databases. It’s an update of CocoaMySQL. Twitter Resiles From API-Driven Site (Twitter) -- performance was the reason to return to server-assembled pages, vs their previous "client makes API calls and assembles the page itself". Stripe Einhorn -- language-independent shared socket manager. Einhorn makes it easy to have multiple instances of an application server listen on the same port. You can also seamlessly restart your workers without dropping any requests. Einhorn requires minimal application-level support, making it easy to use with an existing project. Petition the Whitehouse For Access to Taxpayer-Funded Research (Whitehouse) -- We believe in the power of the Internet to foster innovation, research, and education. Requiring the published results of taxpayer-funded research to be posted on the Internet in human and machine readable form would provide access to patients and caregivers, students and their teachers, researchers, entrepreneurs, and other taxpayers who paid for the research. Expanding access would speed the research process and increase the return on our investment in scientific research. Sign this and spread the word: it's time to end the insanity of hiding away research to protect a handful of publishers' eighteenth century business models. Designing RESTful Interfaces (Slideshare) -- extremely good presentation on how to build HTTP APIs. Manipulating History for Fun and Profit -- if you want to make websites that are AJAX-responsive but without breaking the back button or preventing links, read this. Why Textbooks Are So Broken (Salon) -- Let's say a publisher hires a developer for a certain low-bid fee to produce seven supplemental math books for grades 3-8. The product specs call for each student book and teacher guide to have page counts of roughly 100 pages and 80 pages, respectively. The publisher wants these seven books ready for press in five weeks—over 1,400 pages. To put this in perspective, in the not too recent past at least six months would be allotted for a project of this size. But publishers customarily shrink their deadlines to get a jump on the competition, especially in today's math market. Unreasonable turnaround times are part of the new normal, something that almost guarantees a lack of quality right out of the gate. 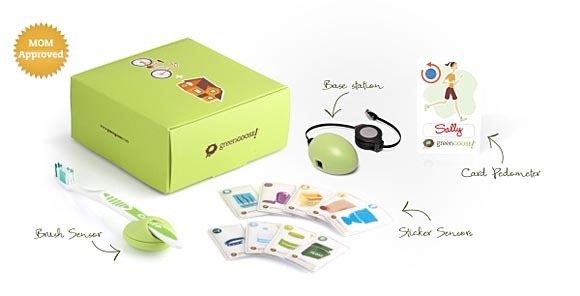 Rather than ask people to integrate bulky or intrusive sensors into their lives, GreenGoose's upcoming system (pre-orders start on Dec. 15; systems ship on Jan. 1) will instead provide small stickers with built-in Internet-connected sensors. Tip a water bottle and the attached GreenGoose sticker logs it through a small base station that plugs into your wireless router. Feed the dog, go for a walk, clean the house — GreenGoose has designs on all of it. No special skills required. GreenGoose founder Brian Krejcarek calls his company's sensors "elegantly playful." In the following short interview, Krejcarek explains how the GreenGoose stickers will work and how he hopes people will use the data they acquire from their everyday activities. Brian Krejcarek: Our sensors measure things you do based on how you interact with an object. This interaction correlates to a signature of forces that our sensors try to match against known patterns that represent a specific behavior around the use of the object. When there's a match, then we send a little wireless message from the sensor to the Internet. Stickers are great for this because they're simple, flexible and they easily stick to curved things like bottles. Also, existing objects or things around the house can be enabled with sensing capabilities by just sticking on a sticker. We're taking everyday things and making them more fun. We're also lowering barriers to adopting sensors by treating them in a playful way. We're trying to make it really easy. There's no batteries to recharge or USB cables or software to worry about. The sensors last more than a year, and the range is over 200 feet, so it's completely in the background. We're finding all kinds of new applications for these sensors. We're going to be launching with sensors that target pets — measuring when you feed your pets or walk the dog, for instance. We've got about 50 or so other sensors in development right now that we will fairly quickly release over time. Brian Krejcarek: We're keeping the gamification side of this really simple to start. It's all about making people smile and sharing a laugh as they do ordinary things throughout their day. No points, levels, or badges, necessarily. We're first going to roll out a simple application ourselves around these pet sensors, but developers will have immediate access to the API and data they generate. We invite those developers to start layering on their own game mechanics. GreenGoose is a platform play. Brian Krejcarek: We hope that the use of the data fits nicely into applications that help people have more fun with everyday things they do. Think families and kids. 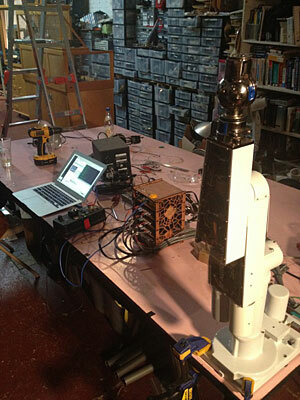 Toward that end, we've got a bunch of sensors on the way for toys and doing things around the house. Brian Krejcarek: Plans going forward include launching the previously mentioned sensor kits around pets, releasing an open API to developers, and launching a sensor around physical movement (exercise) as a little card that can slip into your wallet or purse. We affectionately call it a "get-up-off-your-bum" sensor. No calorie tracking, or graphs and charts. More sensors will be released shortly afterward, too. This post is part of the TOC podcast series, which we'll be featuring here on Radar in the coming months. You can also subscribe to the free TOC podcast through iTunes. Publishers and authors obviously have a sense of how they intend their content to be used, but what if there are other ways of accessing and consuming content that a publisher and author didn't even consider? It reminds me of that great Henry Ford quote: "If I'd asked people what they wanted, they would have said 'a faster horse'." The point is, sometimes we just don't know what we want. That's where exposing content via APIs can help. As we talk about in this interview with Fluidinfo CEO Terry Jones (@terrycojones), APIs enable developers to work with your content like a box of Legos, building solutions you may never have dreamed of. Earlier this summer, author Jonathan Stark (@jonathanstark) launched a social experiment by releasing his Starbucks card to the general public. Based on the "take a penny, leave a penny" tray near some stores' cash registers, Stark encouraged people to use his Starbucks card — to spend the money on it and/or to add cash back to it. While Stark never put any stipulations on the process, some observers were taken aback when another developer, Sam Odio, explained how to use Jonathan's card to buy an iPad. It's been several months since Starbucks shut down the experiment, and now that the frenzy around it has subsided, I asked Stark a few questions about what motivated him to begin the project and what he learned in the process. Why did you launch the Jonathan's Card experiment? Jonathan Stark: The motivation stemmed from my underlying belief that the vast majority of people are good. An opportunity to test this belief in public and on a global scale clicked with me at a very deep level. I couldn't have articulated this at the time, but it became very clear in retrospect. I had been testing various mobile payment solutions while doing research for a client project. Starbucks' iPhone app was pretty cutting edge at the time, and I liked it. I wanted to test the app on an Android phone, but Starbucks had not yet released their Android app, so I took a screenshot of the in-app barcode on my iPhone and emailed the picture to my Android device. Sure enough, the barcode reader at the Starbucks point-of-sale (POS) system was able to read the picture of the barcode on my Android phone. This blew my mind because I had essentially emailed money to myself and bought physical goods with a digital photo. 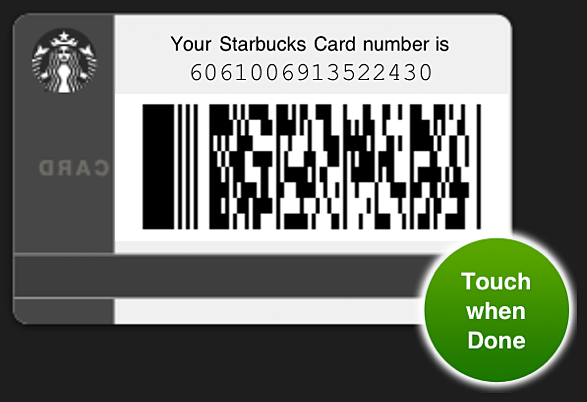 A screenshot of Jonathan Stark's Starbucks card (click to enlarge). As far as I knew, this was unprecedented. So, I did what any self-respecting geek would do: I blogged about it. In the blog post, I invited readers to download the card image to their smartphones and see if it worked for them elsewhere in the US and around the world. It did work all over the US and in a handful of places outside the US. People who used it were amazed and delighted. It was really fun giving out free coffee, so I reloaded the card online a few times. Eventually it got a bit pricey, so I figured it'd be a once in a while thing. Then one Saturday night, I noticed that my card balance had gone up. This freaked me out because the app is linked to my debit card and I thought someone might have guessed my starbucks.com password and was emptying my checking account. Fortunately, this was not the case. What had actually happened was that one of my friends discovered that he could anonymously add money onto my card using the picture of the barcode, either in person at the POS or by entering the number at starbucks.com. At this point, my head exploded. I instantly realized that I could use the picture of the card to create a worldwide "pay it forward" experiment. I was up all night building a landing page that described the experiment, gave instructions on how to use the card, and how to donate to the card. I also wrote a script that scraped starbucks.com every minute for the current card balance — whenever the balance changed, the card would tweet its balance. When the card balance went to $0, it would tweet for help with a link to the instructions on how to donate. What surprised you the most about the experiment? I was surprised how many people were perfectly comfortable with the concept of buying things with their phones. It seems to me that the average smartphone user is more willing to accept the "mobile wallet" concept than industry analysts would lead you to believe. I expected more people to have security concerns. I think I only got two questions about that. How fast and huge something gets when it goes viral. I was getting contacted by network TV producers within days once the experiment took on a life of its own. How addictive the Twitter feed was. By the end, @jonathanscard had more than 9,000 followers, many of whom later told me that they were watching it like TV, cheering when someone would make a big donation, booing when someone would spend $100 at a pop. How generous most people are. I was amazed how many people were willing to throw $10, $20, even $50 into the pool to buy a coffee for some anonymous stranger. In one week, more than $19,000 went through the card. How accommodating Starbucks baristas are. We heard stories about people bringing all sorts of wacky stuff up to be scanned: digital cameras, laptops, iPads, and so on. People who didn't have any mobile devices even took to printing the barcode out and scanning it like a coupon. What are the broader implications from this experiment? Jonathan Stark: There is no doubt in my mind that the experiment would not have taken off like it did without the Twitter feed. It was addictive, interactive, and simple. Once the community grew and started to engage with each other we had to create a Facebook page to allow people to have threaded conversations. Twitter became the card's data feed and Facebook was where people talked about it. Both were critical but in very different ways. Starbucks doesn't have an API, which I think is a big missed opportunity. Retailers want to make sticky and engaging loyalty programs, right? One great way to do that would be to publish an API that allows third-party developers to build on top of a loyalty program in all sorts of delightful and unexpected ways. One thing everyone was asking for during the experiment was a heat map of where the purchase activity was taking place. Because there was no API, I couldn't provide this — which is too bad because it probably would have become viral in its own right. It was a great week at the Turner household! Although we love our house, we've frequently said to each other, "You know what we could really use? A 25-foot-long tree limb wrapped in power lines blocking our driveway." Well, this weekend mother nature decided to help us fill this void in our landscaping, and threw in some ornamental cherry firewood as well (chainsawing not included). Thankfully, I spent the extra bucks on Saturday to get our LPG tank topped off, so I've got generator power for 10-14 days. Given we're on day four with no power in sight, that was a good decision. Plucky researcher Ann McManna walked across the room toward the podium, ready to reveal the details of the fiendish plot she had uncovered to the waiting reporters. Now the world would know about the conspiracy to corner the world supply of macadamia nuts. Her heart pounded with excitement, her mouth was dry and she perspired, in spite of the air conditioning that was making the room practically an ice box. As she approached the stage, she bumped against a table, stumbling and suddenly having trouble seeing her path through blurry eyes. Something was wrong, but she couldn't focus, couldn't identify what was happening to her, even as she collapsed to the ground. Minutes later, the paramedics would close the eyelids of her corpse. Some fanciful invention of Tom Clancy or Robin Cook? Not anymore, thanks to research by McAfee's Barnaby Jack, presented at this year's Hacker Halted conference. Using some custom software and a special antenna, Jack was able to control Medtronic insulin pumps as far as 300 feet from the controller. He was able to disable the tones that warn a user that insulin is being pumped, and trigger a 25-unit bolus of insulin. In some circumstances, this could kill a victim. As networked computers appear in more life-critical items, this is a good reminder that security should be job No. 1, not something to think about if you have time. Too many proprietary device manufacturers seem to depend on security through obscurity, rather than security in depth. One of the perils of depending on public APIs from for-profit companies is that they may get turned into a profit center down the road. Users of the Google Maps API learned that lesson recently, as Google announced that high-volume users will no longer have free access to the APIs starting next year. Before you start panicking, the definition of high-volume will be more than 25,000 calls a day (2,500 if you use the custom styling features), and the rate over 25,000 is $4/1,000 calls. Google claims that less than 1% of all users will run up against this limit. Linux progenitor Linus Torvalds has a reputation for diplomacy and fence building — that's practically the only way to herd the stampede of cats that is the Linux developer community. But when he gets upset, the results can peel the paint off the walls. We got a good example this week, as Torvalds responded to a complaint about the fact that the git source control system was written in pure C, rather than C++. In a nutshell, Torvalds called C++ a lousy language that attracts substandard programmers and leads to sloppy, unmaintainable code. In general, I tend to take any blanket condemnation of a programming language as hyperbole, but Torvalds seems to genuinely loathe C++. We'll have to see if his anger against the language alienates any of the kernel developer base, or if people will just shrug it off as Linus being Linus. 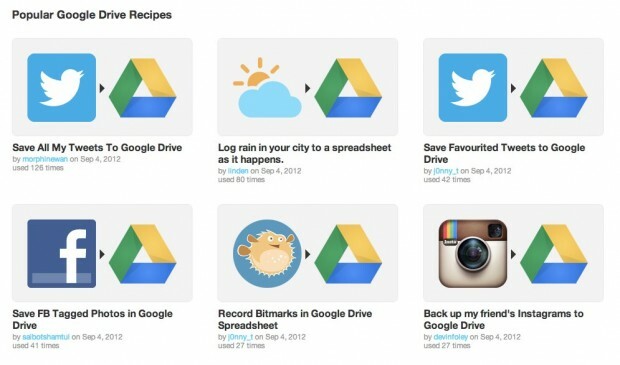 Steve Yegge's Google Platforms Rant -- epic. Read it. Twilio Client SDK -- 1/4 cent/minute API-to-API calls, embeddable in browser apps.